Valentine’s is a fun time in our house. We use it as a reason to do more heart and red themed arts and crafts. This also includes making our own Homemade Valentine’s Day Cards for family and friends. If this is something you like to do as well, then you’ve come to the right place. Here is a list of 5 Simple Homemade Valentine’s Day card ideas that the kids will really enjoy! 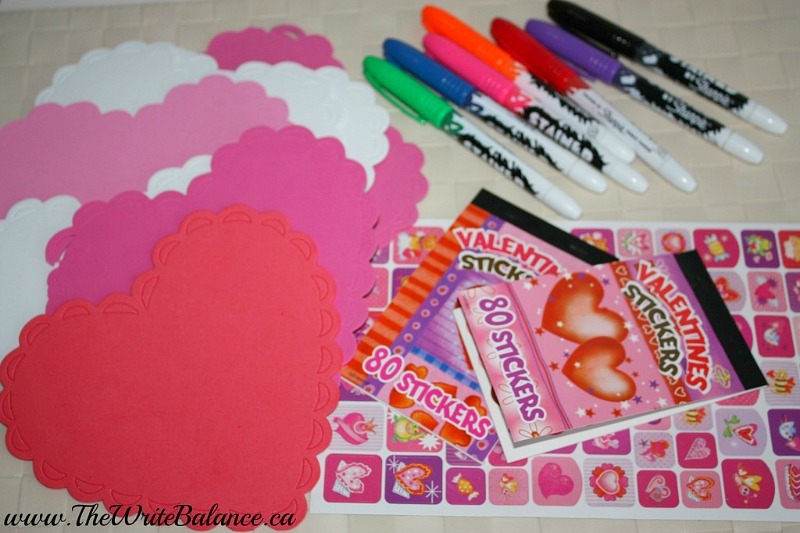 All you need for this is a few things from the dollar store and then your child can do most of the work on these colourful and simple Valentine’s day cards. 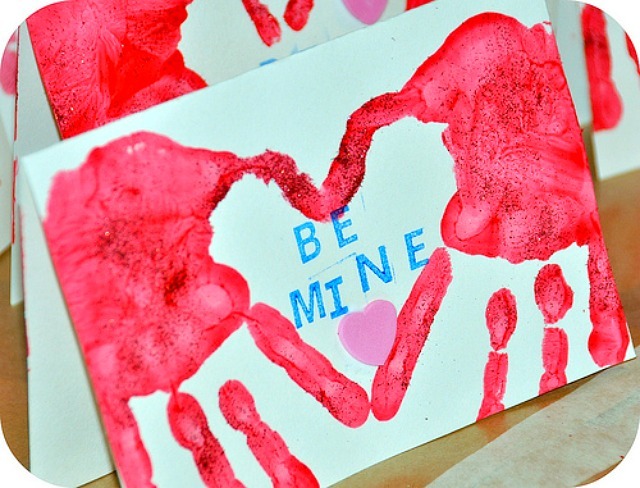 If your child loves painting with their hands, then you should try out this handprint Valentine card idea. The kids use their hands to make an adorable heart and then either stamps or markers to write their message. 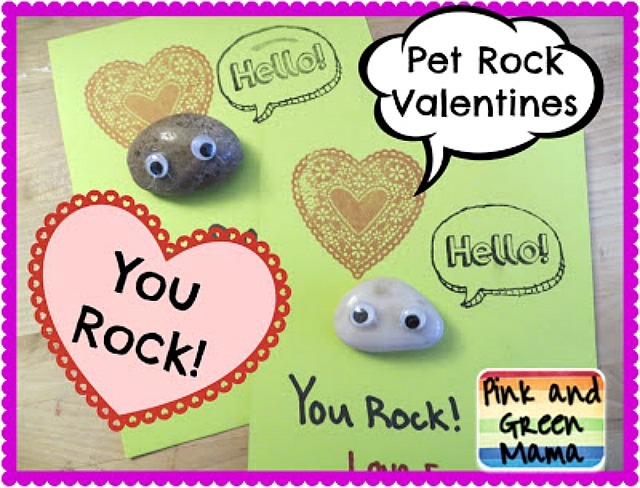 I love this adorable Pet Rock Valentine idea that I want to do with my three-year old this year to give to her preschool class. I found two great ways to do this project on Pink and Green Mama as well as on Little Lovables. You can either buy a pack of rocks from the dollar store or you can go for a nature walk and pick your own rocks for this adorable project. 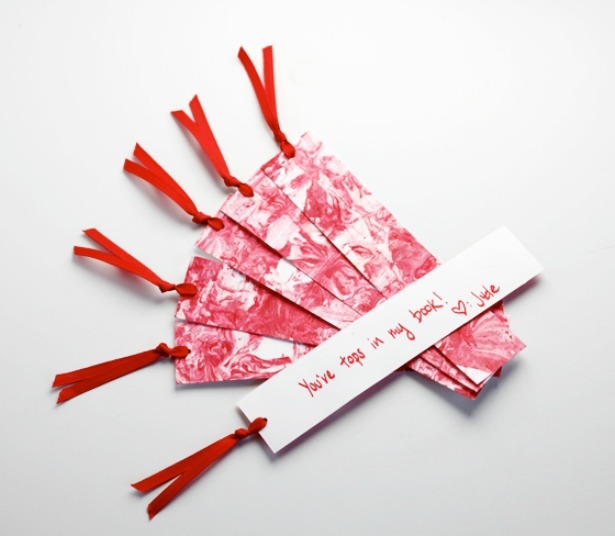 Here’s a really creative way to make bookmarks as cards for the children in your child’s class from Classic Play. On the back, I would add the to and from and if your child can print, then he or she can fill in the names. It’s a beautiful Valentine and practical. 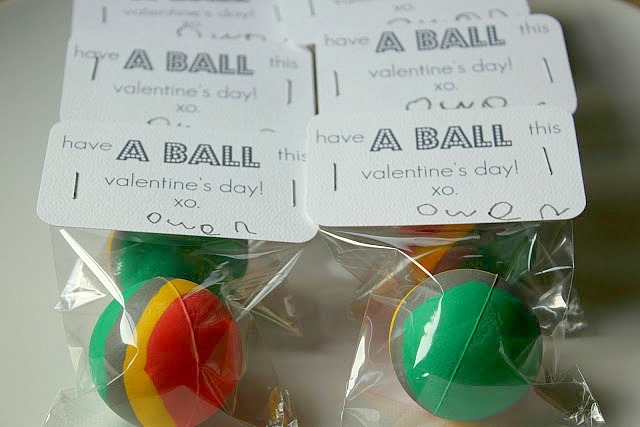 This is what my son and I will be making for his kindergarten class for Valentine’s. The card is simple, the balls are fun and my five-year old can help me every step of the way! I’ve also collected different Valentine’s Day cards and craft ideas and put them on a Pinterest Board. What do you and your family enjoy about Valentine’s? Those cards are such fun. I’ll bet the children love making them. Valentines Day is treasured in our house–that’s the day we married 26 years ago. We did have a blast making the cards! And Happy Anniversary!